OK, I should make it clear that I think we should be sending aid to the BVI, that this is a good thing to help them and try to sort them out. This is because a) they are British territories and b) they are in desperate need of help. However, I have a dilema. Because the BVI are a tax haven In other words, their tax level is low to non-existent, and so are very desirable for those with large amounts of money. But surely, if they are not paying tax, they shouldn't expect the armed forces - paid for by taxes - to come and help. Surely, that is the deal they make when they have low taxes? Or have I missed something here? As I said, I am not suggesting that we shouldn't help them. I just have a niggling problem that I cannot find an answer to. Maybe, as a thougths, they could have a retrospective tax on the richest to ocver the cost of their islands rescue efforts. We should absolutely be sending help, but I have the same reservations as you do. We should help as we should help any independent country in need, as has been asked for already (by I think Antigua and Barbuda, do correct me if I've got that wrong). What did get my back up was various people taking to news demanding help and criticizing the UK government for being slow in helping, when they no only don't contribute a farthing to the Exchequer, but possibly take money from it by their tax laws. May the Lord look upon them sideways as my Aunt used to say! And that is when it falls apart. The point of government, good government, is to provide services and protection for all citizens. The military isn't there to just protect the tax payers, but all citizens. The police are to protect all citizens from crime, not just the wealthy who pay taxes. The roads are for all to travel on, not just those who pay taxes (and the good roads are not just for those who pay the most taxes and the bad roads for those who pay the fewest). We don't pay taxes to buy government. We pay taxes to support government. And government is to take care of us all. That's the deal. Hedgehog, all points I would agree with but to what extent do the BVI actually 'support the government' with their tax laws? I have no problem with paying a lot of tax and helping those who's income means they don't, but that's because we are all working and contributing under the same system. Each to their means and all that, but if you aren't contributing a little more gratitude and a little less entitlement wouldn't go amiss. Barbuda as a poorer country (Antigua and Barbuda). All residents of Barbuda were moved off island yesterday because next storm. Must note that much aid to Haiti previously was siphoned off. Didn't reach who needed it. The corruption was blamed on locals but it isn't fair. Much went to the corrupt who were supposed to be helping from away. Whatever you donate, please do it carefully. Always strange that we should be moved to charitable giving when presented with images of luxury boats blown into a heap, rather than those of devastation where mudslides and floods have hit poverty stricken areas. WHich is sort of where I am coming from. No, we are not "Buying services" with our taxes. We are fulfilling our duties as citizens, and in exchange, the government will look after us. But - as I understand it - the BVI residents do not pay tax, on the basis that they are mostly wealthy and so can afford to provide for themselves. Except when they can't, which is the entire point. Not sure it is quite true that there is no taxation at all in the BVI - but it is possible/likely that they're not paying towards British military budgets. But then maybe that's a bit irrelevant. The British government has a strange relationship with the remnants of the Empire retained as overseas territories (usually much less interaction than France has with equivalent territories it seems) and it could be argued that for sound strategic reasons the British government opts to occasionally provide military support whilst allowing the status quo to continue without much Whitehall input for the vast majority of the time. Similarly, I always am annoyed when disasters are reported in terms of value of property loss, rather than #s of homes and/or lives lost. Harvey is getting big press right now for being the "biggest disaster in US history" (altho Irma will probably knock it off it's pedestal) but it's biggest in property value, not at all in #s of lives lost. We've had other disasters that have been far more devastating, but because the property being destroyed was cheaper, it doesn't make the list/headlines-- even though the devastation may be far greater. That certainly seems to be a factor (as well as the infamous xenophobia among Americans) in the disparate reporting re flooding in Bangladesh v Houston. Not at all trying to take away from the devastation of Harvey (or Irma) but simply that we need to care just as much when a poor person in the developing world loses everything he owns as we do when a rich (possibly insured) Texan does. Not all of the residents of the BVI are rich. Nearly 30% are low income. Nearly half the population is in the service sector, industry and tourism. So not only can they not help themselves, their tax contribution would be minimal regardless and not able to cope with Irma. And, ISTM these folks jobs will be hugely negatively impacted whilst recovery is ongoing. If you wish to have outrage try this instead. The corruption in the US government I am getting outrage fatigue with. I suppose I am just trying to get my head round the relationship between the UK, the remnants of the empire, and the situation of tax havens (many of which are also British territories). I am not sure that it all seems to add up yet. Perhaps the problem is in an overlap between thinking "these people don't need government services because they are rich" and thinking "these people don't deserve government help because they do not pay taxes." Those aren't the same concepts. As lilBuddha notes, the belief that the residents of BVI are "mostly" rich is probably not accurate. There are many in the service industry who are not particularly rich, and poverty is always with us. To withhold help on a tax argument for those who need it is unjustifiable from the view of the proper role of government. But what of those who don't "need" it? Well, in my attitude in life, all I ask is that I get the benefit of my bargain: I pay taxes and expect the government to provide me with government services in return. If I am not denied those services, I have received the benefit of my bargain. And I vote (and try to elect) those who have what I deem the proper approach to the use of tax dollars. That others may get a better deal is, therefore, somewhat irrelevant to my feeling of content. I got the benefit of my bargain. Now, I will happily vote for officials who may cut back on the tax breaks for the obscenely rich, but that doesn't mean they do not get the services a government is supposed to give all its citizens. They just have a better benefit of the bargain. LilBuddha I'm outraged - but sadly not surprised. Whenever this kind of disaster hits there are often wails of corruption aimed at less than honest third word governments wasting aid - as in Haiti, but we should look at the beam in our western eyes first. In case anyone was unsure, the UK had military in place in the form of fleet auxiliary ( who support the navy and are experts at this) who have been 'sitting off' in anticipation. What we didn't know was the exact trajectory of the storm or the amount of damage. The ships and troops are held out of with an huge amount in reserve sat at Brize Norton and Plymouth to be deployed when we had an idea of what was needed so we could rock up prepared. I don't know much about the British Virgin Islands, but can't help suspecting that if it's an offshore finance centre most of the rich people who have money there, don't themselves there, and most of the people who do live there are no better off than anyone else on surrounding islands. So why are we mentally delighting that they are being punished for not being well cared for by absentee financiers? The BVI need help. They are a British territory. Therefore Britain needs to help them. End of story. I am trying to word a proposal to put to my church. Back in the C18th the local schoolmaster (whose grave is in our churchyard) had a very large family, and the sons set off to the Carribean to make their fortune. Which, thanks to slavery, they did. Some of their fortune was sent back to my wee village where it helped finance the church and several rather fancy gravestones. They also had children by their female slaves, the descendants of whom still bear the surname which features quite prominently in our churchyard. We have had one Afro-Carribean visitor to our church, visiting the graves of her Scottish ancestors. I'd like to suggest we send a donation to the church in Antigua where some of the descendants of our village slave owners and their slaves worship. Also, how would we go about sending a donation? ...I'd like to suggest we send a donation to the church in Antigua where some of the descendants of our village slave owners and their slaves worship. As for how to go about it, could you contact the local diocese to ask when things have settled down a little? Noting Enoch's point that the people who abuse tax havens already have their cake and eat it by 'living' there without living there and therefore aren't actually affected. (The residents do potentially gain a bit from the fact that there are so few of them a low tax rate on all the business they are doing in the UK+ is more per person * ** so can pay for essential services). However if we ignore that. I think there is a potential distinction. it's not that they're rich (though note that the rich get a larger amount in the handouts, even many benefits). It's not that they don't pay taxes. If you don't pay taxes because you can't pay that just shows you need help in the good times, how much more in the bad. It's the combination, that they chose not to, and even that wouldn't be such a problem if they then didn't want the benefits as though they had. A bit like demanding a drink every round, until it's 'their turn'. *Hence why we are too big to try this trick on Europe. **And of course they the company can rely on the British taxpayers and workers *** (the net losers) to provide/live with the roads in Britain. ***And of course it's even worse for the African nations who have even less power to stop it (and in their turn subsidise us). NEQ, I can't speak to the logistics of such a donation, but I'm sure that the Church of Scotland must have 'structural' connection to a church there. Donations could be directed that way. As to the nature of your idea, given the historical nature of your community's connection with the Caribbean, I think that it's not only kind, it is thoughtful in the deep sense. I find it quite touching. Still, money for rebuilding the churches would obviously be welcomed. That's probably not the first thing on Antiguan minds at the moment, although you could make contact with someone and discuss that. Contact details should be easy to find online. If your aim is to help the community in general it might be better to send your money to an established aid programme, or at least a well-organised group set up with humanitarian assistance in mind. There are concerned people on crowdfunding sites, and I read that Oxfam and the Red Cross are already in the region. fwiw, Red Cross is under a bit of scrutiny these days for seemingly squandering half a billion $$ donated to earthquake relief in Haiti in 2010, explanations have been very very slow in coming, but bloated administrative salaries seem to have been a factor. ymmv, but here in US many are urging hurricane donations be sent to more local charities. For the Caribbean I would guess Doctors w/o Borders and Habitat for Humanity would be good options. For my own congregation, I'm encouraging donations to our denominational world relief fund earmarked for disaster relief. Just to be clear, North East Quine said nothing about "rebuilding the churches", just donating the money to churches. I think that logic dictates that medical care, potable water, etc. would take priority, as I'm sure the congregations in Scotland and in Antigua would recognise. Yes, I wondered about that. But are the churches the best institutions to organise large scale humanitarian aid? In cases like this it may take training as well as goodwill. And what kind of manpower do the churches command? 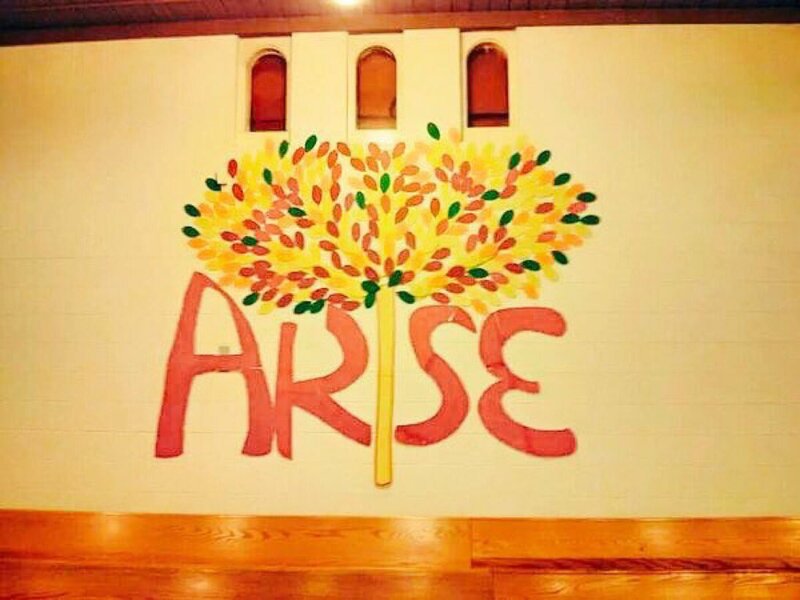 If North East Quine's congregation had already developed a relationship with a sister church in Antigua they'd have a better idea of what that church's strengths and weaknesses might be. I suspect that they might be realy good centres of community, and so can use the money, and distribute it where needed. They may not use is directly, but as a centre, can utilise it. I did say at the start that I think we should help and support them. It was simply their status as a tax haven that I wanted to explore. it struck me as a challenge that I couldn't find an easy answer to (either way). I am not suggesting in any way that the people, the individuals, should just be ignored or abandoned. However wealthy, however corrupt, they should be looked after. If the British Virgin Islands had a UK-style tax system, would they have enough money or resources to deal with the immediate and long-term aftermath of a devastating hurricane? I'm not certain about that. With regard to building the BVI back up then, maybe it would be more fair, after the event to ensure that it's the poorer people who get the financial aid and physical assistance to rebuild their homes and lives etc, putting emergency funds into local industries, small businesses that have been wiped out; and allow the rich tax-exiles/corporations to fund themselves and their businesses with their hived away gains. For actual moments of life and death occasion, during the emergency itself, of course, everyone should be helped regardless. But a person whose business taxes, if paid, could have funded the construction and staffing of a couple of hospitals, should clearly not be in line to receive government funded recovery help, gratis. Give to the needy first. I'm pretty sure the answer is a clear no on too counts. 1) Firstly of course, the point of the tax haven system, is that they and the company legally 'steal' British tax and split the takings. They lose a bit from the companies that actually are based there, but they do it because it's a net gain for them. On average disasters can be considered statistical and can be budgeted for. On a small scale, out of 10,000 regions some poor area will (one average) get hit by two once a century events. For everywhere to keep that balance in the bank ready would be tremendously wasteful and impossible to get up to. While in the USA Texas can help support New York from hurricane Matthew (it may not have actually done so properly, but even just still functioning helps) and New York can support Texas after hurricane Harvey.